Mark Branning has spent 33 years in the healthcare information systems industry and is a consultant specializing in patient engagement, health information exchange (HIE), interoperability, and product positioning. His specialty is getting his customers unstuck and achieving real results on their clinical collaboration initiatives. 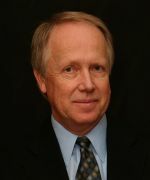 Previously, his successful 20-year tenure with IDX/GE included: clinical product launches, leading transformational large-scale implementations at Sharp HealthCare and UCSF/Stanford; significantly improving customer satisfaction of the install and support division; and development of interoperability strategies and solutions. His career began as the user liaison for Dr. Larry Weed's PROMIS - a pioneering electronic medical record. Dr. Weed is the father of the Problem Oriented Medical Record, including SOAP notes. Mark has been a consultant on HIE issues to Scripps Health, Sharp, and the San Diego Beacon, and was a member of the management team for a health record bank startup. He serves as Adjunct Professor, National University (teaching Health Informatics), and is a member of the HIMSS eConnecting with Consumers steering committee and the Healthcare Committee of the San Diego Chamber of Commerce. Mr. Branning has a MBA and BS (pre-med); achieved CPHIMS (Certified Professional in Health Information and Management Systems) certification; and SrHIMSS status.